PCR for direct and random mutagenesis, cloning of reporter stains etc. 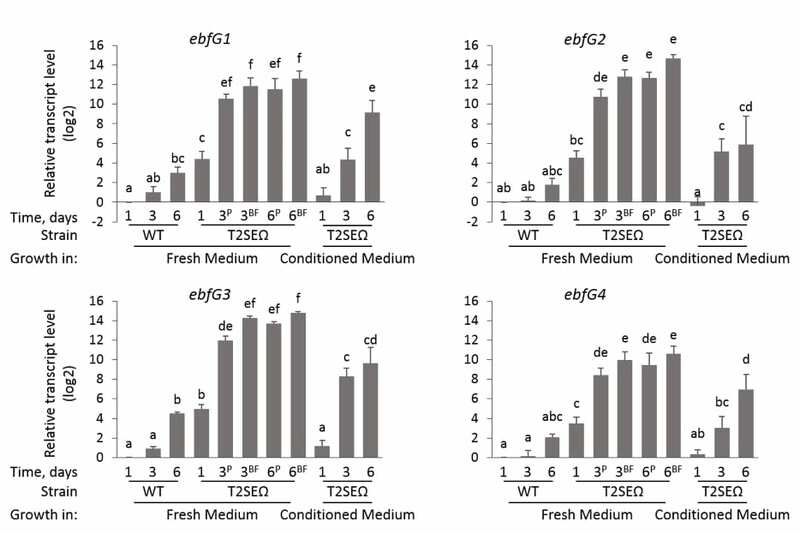 Deep RNA sequencing is used to compare the global transcriptomes of a planktonic and biofilm- forming strains of the cyanobacterium Synechococcus elogatus. mRNA profiles of the gene Synpcc7942_1134 (unpublished). 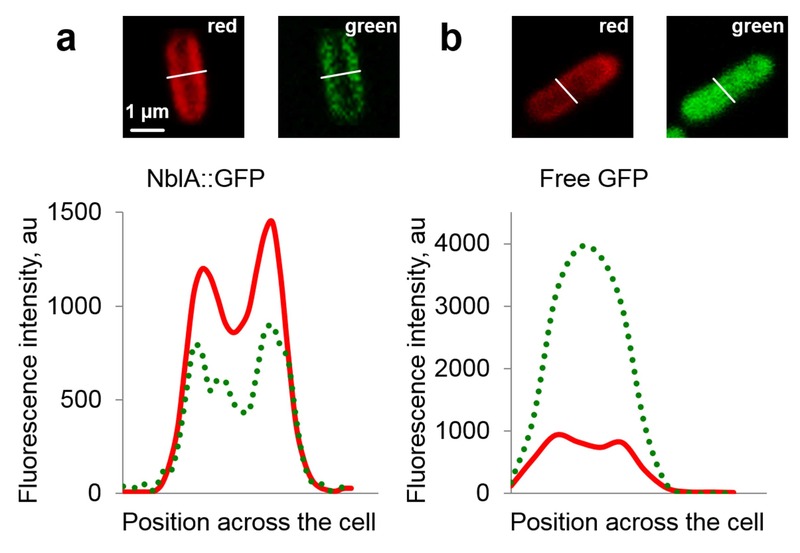 Western blot analysis using anti-GFP to examine the stability of free GFP versus that of NblA::GFP. To investigate the cellular role of particular proteins we use co-immunoprecipitation to identify targets of interaction. Analysis by mass spectrometry is used to identify the co-precipitating proteins. 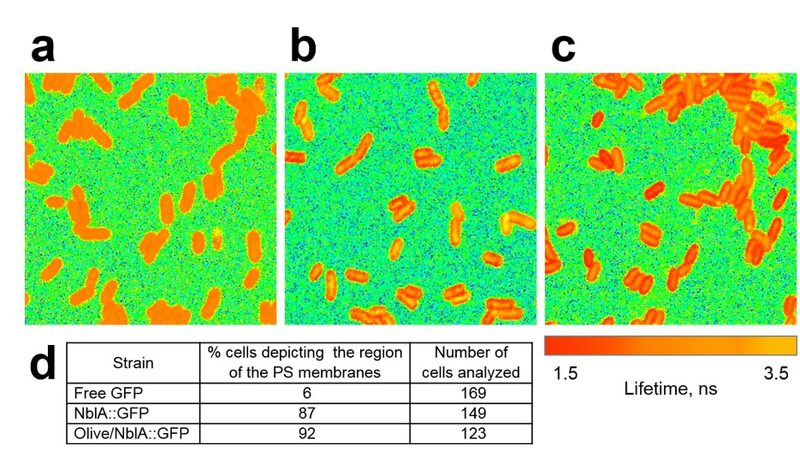 Cryo-SEM was used to characterize biofilms of the T2SE-mutant of Synechococcus elongatus (A and B) and wild type cells (C). 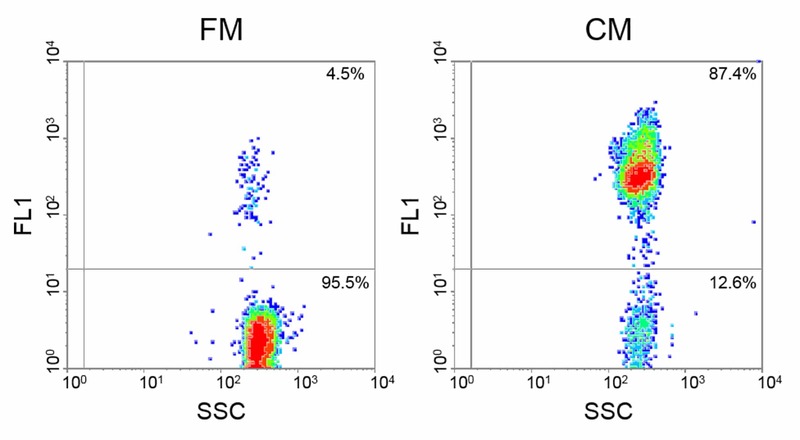 Flow cytometric analysis of Sytox treated cells inoculated into fresh medium (FM) or conditioned medium (CM).